Are you finding it hard to keep up with all the academic work you’re being set? Perhaps you’re finding it too difficult, too overwhelming, or you simply don’t have enough time in your life to get everything done? Searching for a solution, you may have come across RushEssay.com. However, before you jump in and make an order, believing this is the answer to all your problems, be aware that there are many similar sites to choose from, allowing you to be selective with the one that best suits you. 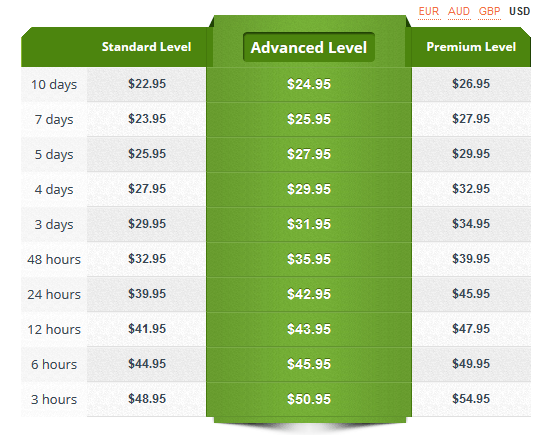 Let’s review find out whether this is the safe and legit website you need. Looking at the dedicated services page, you can see whether the task you need to be completed is even available from the site. The chances are it probably is, since there are many services listed. 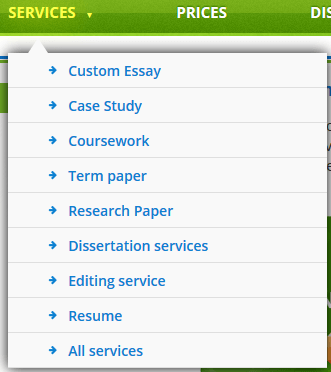 These range from standard essays and articles to assignments, presentations, and even resume writing services. There are even editing and proofreading services available if you need your work fine-tuned. However, the list only really includes basic services, around 30 in total, and compared with the leading sites that offer 50+, this can feel quite limited. You’re also required to sign up and login to an account since you’re placing an order, meaning you have to hand over a large amount of your personal details. However, this sign up process is free. Heading over to the RushEssay prices page, you can use the quote calculator to figure out what price your work will be. It’s also worth noting there are several discount codes and promotional deals littered throughout the website, providing you with up to 15% off your order. To give you an idea on what prices are like, a standard essay that’s ten pages long, written to an advanced level with a 5-day deadline will set you back $279. This is a fair amount of money and a sum that many budget-conscious students may not be able to afford, especially if they’re looking for a regular service. I was surprised to see that there wasn’t any testimonials or reviews of the service written anywhere on the website. This leads me to doubt whether the website is used, or whether they’re simply hiding poor reviews. Searching online, there are many mixed reviews from different trust websites, some claiming it’s really good, others claiming you should avoid it at all costs. It’s safe to say the website is inconsistent when it comes to quality at best, and there aren’t even any samples available, so you can judge it for yourself. Heading over to the contact page at Rush Essay, you’ll see a limited number of support options available to you. There’s a single email support, multiple phone numbers for the US, UK, AUD and NZ, a live chat that operates during set hours during the week, and that’s it. There’s no social media links, no Skype address, no physical address, and no dedicated pre or post sales email line, meaning everyone will be put through to one support line. During busy times, you may be waiting a long time for a reply; not ideal if you require urgent assistance. All in all, there are many aspects of RushEssay.com that can be improved. The prices are fairly high, the quality of the content isn’t guaranteed, the support options are limited, and the services aren’t very advanced, meaning you may not have the best service you would expect.